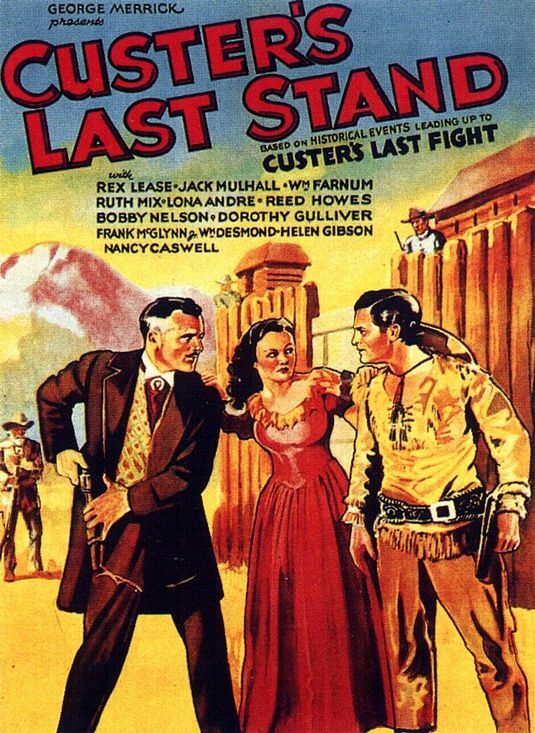 It’s Custer’s last Bible and it survived his Last Stand. Custer died with his boots on and this Bible just a yonder. 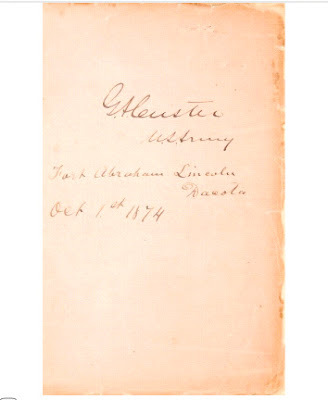 Gen. George Armstrong Custer’s signed and inscribed personal Bible, which accompanied him on the Little Bighorn Expedition, will be auctioned on November 16, 2010 at Heritage Auction Galleries in Dallas, TX. It is estimated to sell for $25,000 - $50,000. "G.A. Custer/ US Army/ Fort Abraham Lincoln Dacota [sic]/ Oct. 1st, 1874." It is an intimate, personal relic of a tragic chapter in nineteenth century America, the possession of one of the most colorful - and controversial - military personalities of his time through ours. Custer’s Last Stand, firmly a part of the American David v. Goliath heroic mythos, proved to be the Native-Americans' last heroic military triumph in their struggle to remain on their homelands and practice their way of life. 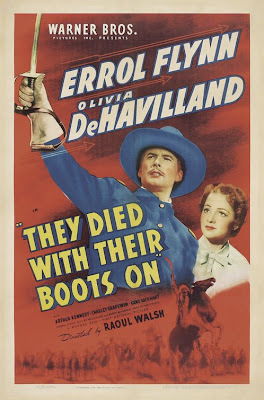 The inevitable came soon enough for the U.S., too soon for the Great Nations of the Dakotas. This Bible was clearly of great importance to Custer. After a somewhat wild youth of dubious faith and much drinking, he became a devout Christian during his experience of the Civil War. He swore off whiskey and committed himself to God. "On the eve of every battle in which I have been engaged, I have never omitted to pray inwardly, devoutly. Never have I failed to commend myself to God's keeping, asking Him to forgive my past sins, and to watch over me while in danger... and to receive me if I fell, while caring for those near and dear to me. After having done so all anxiety for myself, here or hereafter, is dispelled. I feel that my destiny is in the hands of the Almighty. This belief, more than any other fact or reason, makes me brave and fearless as I am." The Bible was a gift from his dear mother, and the only reason it survived the Battle of the Little Bighorn is due his leaving it in his personal wagon, which remained with the pack train guarded by Captain Benteen, the commander of the regiment’s scouting column. 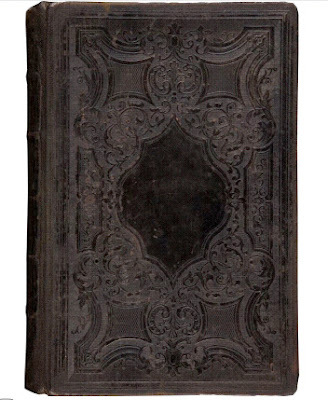 After the remnants of Custer's forces returned to Fort Lincoln, this Bible was returned to his widow, Libbie, and remained in possession of the Custer family until the late 1980s, when it was part of a large group of artifacts released by the descendants of Nevin Custer, Armstrong's sole surviving brother. The battle occurred June 25/26th 1876. 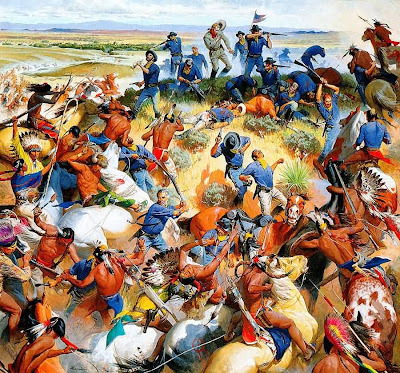 Without question one of the most dramatic episodes in United States history, the Battle of the Little Bighorn (The Battle of the Greasy Grass to Native-Americans) was the central action of the Great Sioux War of 1876-77. Custer, leading the 7th Cavalry regiment of the U.S. Army, met the combined forces of the Lakota, Arapaho, and Northern Cheyenne under the leadership of Crazy Horse and spiritual guidance of Sitting Bull. After a series of grievous assumptions and miscalculations thirty-six officers and 566 enlisted men were annihilated by an estimated 1,800 Native-American warriors. 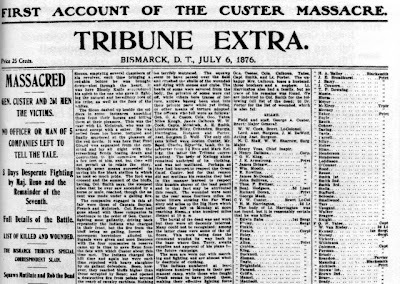 In its aftermath, Custer leaped into American history, became an instant legend, and is now part of the great American narrative, though the humiliation of the Army, the anger of the citizenry, and the desire for revenge did nothing to improve the quality of further relations, certainly not the quality of mercy in further encounters with Native Americans. Custer's Last Stand by William Reusswig. 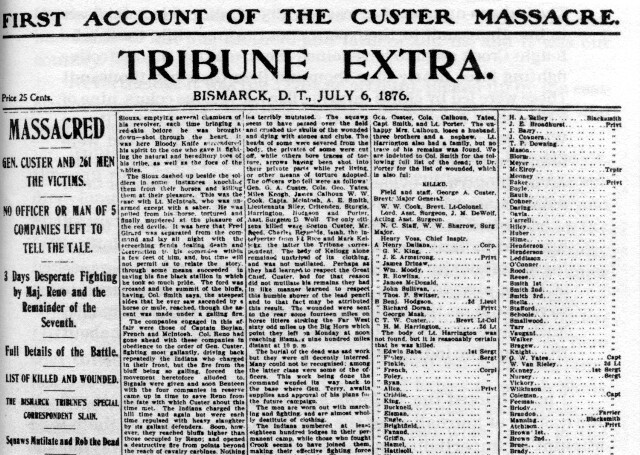 Many books have been written about Custer and this battle. Hollywood has adapted it to film. It's a great story, no matter who you're rooting for. Published by the American Bible Society, New York, in 1872, its binding had suffered over the years and has undergone painstaking conservation efforts by a talented professional. The interior pages are untouched and in excellent condition, including the boldly inscribed and signed flyleaf page. 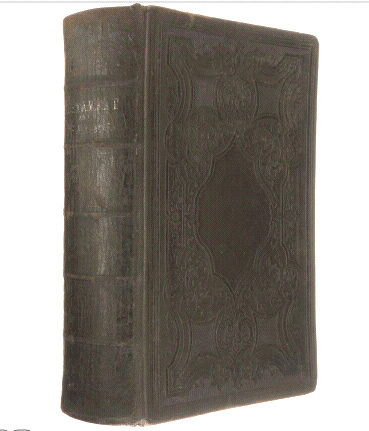 As a collectible this Bible, in and of itself, has little if any value. This is an example of provenance, inscription, and back-story being everything. 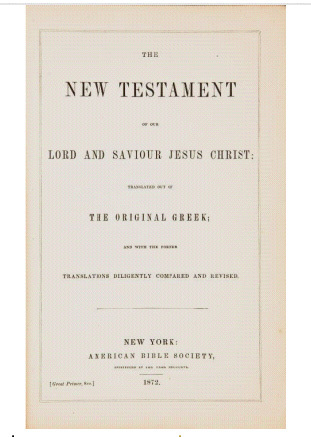 The Bible was last seen in 1995, when Butterfield & Butterfield (now Bonhams) offered and hammered it at $46,750. Very cool! Just a minor correction- although everyone in the 5 companies with Custer was killed, the other 7 companies (3 w/Reno, 3 w/Benteen, and 1 w/McDougall & the pack train) suffered few casualties. The total death toll for the 7th, including scouts, was 268, out of something over 600 engaged.